Photo: Wildlife of Australia at the Wolgan Valley Resort & Spa, Blue Mountains, NSW. Credit: Emirates. See the Blue Mountains Map. On this largely unpopulated, vast continent and the many islands off the coast, much wildlife can be seen in their natural state. When you visit here, you will also have ample opportunity to get up close to them in the different animal reserves around the country that help to protect wildlife. There are favourites, such as koalas, wallabies and wombats and more exotic animals such as camels living in the wild. Fishing is popular in Australia, whether on a sparkling clear whitewater river in Tasmania, or hiring a fishing charter in one of the many sleepy fishing villages on the coast. There is accommodation available in the Blue Mountains, including the luxury Wolgan Valley Resort & Spa. 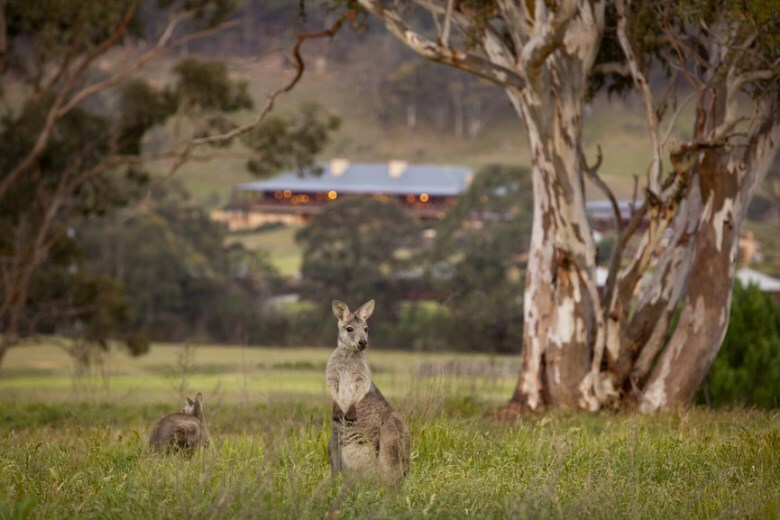 Main Photo: Wildlife of Australia at the Wolgan Valley Resort & Spa, Blue Mountains, NSW. Credit: Emirates.